On behalf of our team, I would like to welcome you to our hotel, ideally located between the E19 and A12 highways. Savor a delicious Belgian beer at our bar and then enjoy a good night's sleep in one of our comfortable rooms. 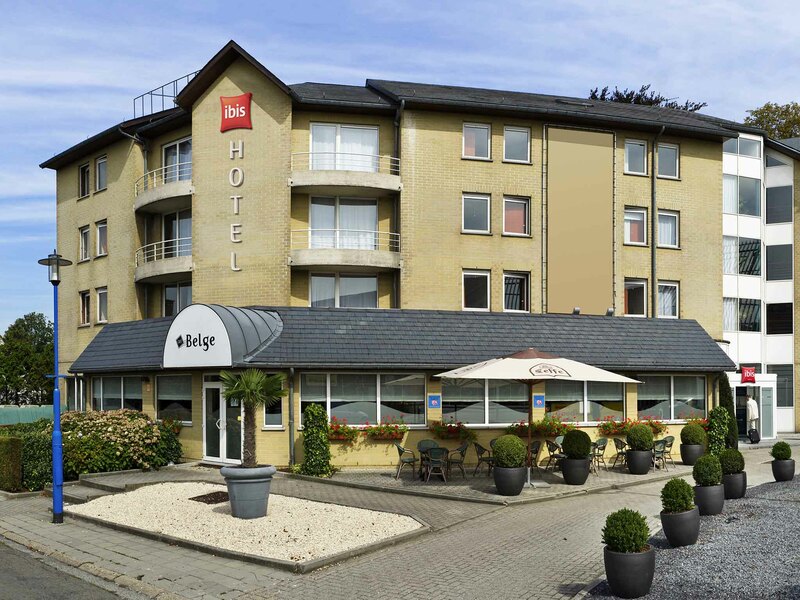 Hotel ibis Brussels Expo Atomium is very near Ossegem Park, which is perfect for a relaxing walk should you feel so inclined. For cultural entertainment, Brussels' city centre has everything to offer, from Manneken Pis, the Royal Palace (only open in the summer months), St Michael's and St Gudula's Cathedral, the Museum of Emperor Charles, right through to the comic strip route, where you will find frescoes of Suske & Wiske, Guust Flater and Tintin, among others, displayed on 31 walls. Equipped with the new Sweet Bed by ibis bedding, the new ibis room offers the ultimate in comfort: large double bed, desk, internet, parquet flooring, LCD flat screen TV with all the best channels and a bathroom with shower or bathtub. Equipped with the new Sweet Bed by ibis bedding, the new ibis room offers the ultimate in comfort: two cozy beds, desk, internet, parquet flooring, LCD flat screen TV with all the best channels and a bathroom with shower or bathtub. Equipped with the new Sweet Bed by ibis bedding, the new ibis room offers the ultimate in comfort: 1 large double bed, 1 single bed, desk, internet, parquet flooring, LCD flat screen TV, all the best channels and a bathroom with shower or bathtub. Was not able to sleep properly due to AC machines just bellow room 326. Very disapointing, as sleeping confortable was the only thing I expected. You can not rest when you have AC machines bellow room 326, working all day/night and windows did not close properly. This is something probably advised to management before! I expected more from Ibis, especially when I have slept really well before. Comfortable bed. Good location for us. Nice but breakfast is far too expensive. Reception was good given room number 110 although the room temperature was showing 21 degrees it was cold. Shower looked new and worked fine with hot water but hand basin had large crack on base. Pre requested a room to take a dog (giant Schnauzer) to be honest no room to put his bed anywhere. Overall the room looked tired, small tv and in need of decorating. Breakfast was ok with a selection of different food but like your Kortrijk hotel sausages seemed undercooked. Bar was friendly. A quiet room as requested. Everything functioning. Good breakfast. Customer service very good, seamless check-in and polite staff. The hallways were un-clean, smelt of urine and were not pleasant to walk through to access the bedroom. The room was clean and adequate, comfy bed and quiet despite facing outwards towards the road. Breakfast was pleasant, a wide variety of choice & the food was of a good standard. Check-out was seamless and the staff were helpful and polite. Very friendly and service oriented staff. Perfect location for visiting the atomium and in walking distance to a tube station to travel into town centre. The staff were helpful but the hotel is very tired with worn out carpets in halls and stairs and mould in my bedroom bathroom which also had a nasty smell when the A/C was turned on (so had to be off). The quality of the stay was a bit lower than other IBIS hotels. In particular, there were some hairs in the shower (although the bathroom had clearly been cleaned). The staff was friendly and the stay was uncomplicated.